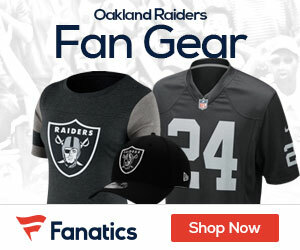 One would think that after the beatdown that Oakland Raiders quarterback Jason Campbell suffered during Saturday night’s game against the San Francisco 49ers was bad enough, it appears that he is more injured than originally thought. Not only is Campbell suffering from a stinger, he is also suffering from an injury to his right wrist, according to The Sporting News. It probably wouldn’t be such a big deal, except that the injury is on his throwing wrist. Raiders coach Tom Cable is of the hope that Campbell will be ready for the team’s season opener on September 12. More information should become readily available, so stay tuned to Raiders Gab. Running back Michael Bush is expected to undergo a procedure some time today in order to repair a broken thumb suffered this past Saturday. According to Bush, he said that he should be ready for Week 1.